As of 3:30PM Friday, 201 of you had filled out my Fall 2015 Reader Survey. Most days, Sam & Scout sees 1,000+ readers; but, I warmly consider the 200(+) of you that took the time to give me some honest feedback “my blog people.” Many of you (66%) have been reading since I moved here from E, Myself, and I in March of 2014. Like old friends, you’ve seen me through lots of different life stages and continued to read, comment, send emails. Your surveys were anonymous, but I know who you are (figuratively, of course, not in a creepy way). I read your blogs and follow you on Instagram. I know we have babies close to the same age. That your littlest had colic too. That you are pumping from a storage closet at work like me. That you are up late grading papers and haven’t done laundry in a week either. Truly, you are my friends. Basically, we have TONS in common, and we could have one heck of a play-date/ lesson-planning party if we ever were in the same place at the same time! The topics you’d like to see more of were pretty well spread out across the board, but the topic with the most checks (49%) was Confessions/Real Life. (Your in luck: Mid-Month Confessions is TOMORROW!) Behind that was Teaching and then Favorite Finds. Your least favorite topic/ what you’d like to see less of was Giveaways and Reviews (22%) and then Teaching. 55% of you said you pretty much never comment, which I hate, but I totally get it – I honestly rarely comment on other blogs myself. I think that this comment was referring to the fact that I’ve missed a couple of months of Mid-Month Confessions since Nora was born in addition to making my Instagram account private back in April. You can read about my reasons for that decision here; but, ultimately, I really do try to share about my experience as a mom without necessarily sharing about my kids. Does that make any sense? I’m sure some times I accomplish that better than others, and I make no claim of being “good” at striking that balance, but it’s where I feel like I need to be with my blog and personal life right now. I LOVE the idea of being a completely “open book,” but I also want to guard some things as sacred and protect the privacy of my family members that may not have the same feelings about it as me. I know I might sacrifice some readers who want more details about the personal lives of the bloggers they follow, but I don’t think it means I have to redefine the mission of my blog. The vein of motherhood runs through everything in my life and, thus, everything I write here. Another stinger. Most of my thoughts on this are stated in the response above, but I will add this: I DO think that having a working mother is what is best for MY kids. If I felt differently, I would’t be a working mother. Period. I won’t make any apologies for that. BUT, beyond my own experience, I really don’t have a strong opinion about this and would never try to make a blanket statement that any one choice is “best.” It is different for every family, every season, every situation. I’m SO sorry that something I have written/said ever came across as otherwise. On that note, in my life, I often feel like the minority as a working mom, and I think of this blog as a platform for speaking encouragement to other moms who might find themselves in a similar situation as me. I can see how some of my “cheerleading” for working moms could be perceived as thinking that’s the only way to go. But, please know, I have many close friends/moms that I respect SO much that stay at home full time with their kids – and several of them actually struggle with feeling like the only SAHM out of their circle of working mom friends. I know my experience is only ONE, but it’s the only one I know, so it is what I write about. Fair enough. This comment actually went on to say that I did a pretty good job of keeping this fairly infrequent, mixing them with actual content, and only representing brands/products I truly believe in. I know people don’t love sponsored content (I don’t either), but I really do make every effort to make them sparse, relevant, and real when I do include them. Those things are REALLY important to me, and I run everything I post/write/etc. through that filter when it comes to sponsorship and monetizing. I don’t make a lot of money off of this blog, but I am very thankful for the little bit it does generate. Two sponsored posts this summer paid for Sam’s birthday party, his new bike, and a family trip to Kings Dominion. If you are someone that gags a little every time you see a post with a *sponsored* disclaimer, rest assured that – at least here – that money is going to a real person with a real family, and I am incredibly grateful for the little “bonuses” it provides. I will write more about making money from blogging etc. later, but – in the meantime – check out my FAQ page for a little more of my reasoning behind including ads and sponsored content on Sam & Scout. When you were a first year teacher, how did you balance the line between school and your personal life? What was life as a teacher like when you were married but before you had kids? Tips for starting a blog. How did you establish a blog following / land sponsored stuff? Have you ever thought about blogging full time? How do you budget/ handle finances in your family? What job (other than motherhood) could woo you away from teaching? What’s on your fall trend radar (mom style)? Tips for hosting a shower. What are some ways you try to keep your teaching “fresh” when you’ve taught the same content for a while? Would love to know more about how you practice your faith — mostly, how you do quiet time? how you connect with friends in prayer and bible studies, etc.? Did I forget anything?!? Please leave additional questions for me (or thoughts on any of this) in the comments. ALSO, tell me: What kind of content would you like to see in my blog newsletter? *EVERYONE was genuinely kind and respectful in offering their feedback. I sincerely appreciated the honest commentary even when it was a little hard to read. No need to get upset about anything anyone said or defend me at all. I’m only sharing because I wanted to respond and thought maybe others could relate to some of the same sentiments. Love that you shared the feedback! I am one who never comments, and I’m also one who is single and without kids. I love your blog, mostly because it’s a peek into what my future could look like. If that makes sense. I have to say, that was a cool post to read. That was pretty awesome of you to share all of the info you got, even the ones that stung. I have to admit, I didn’t leave any of the comments you shared but I did relate a little to the one about all mommas doing their best. I just feel like maybe I will share my thoughts on that one because I can see why you are confused by it. I don’t think you ever genuinely intend to make anyone feel bad but… When you wrote the post about being a mom who bottle feeds her breastmilk, I was more than a little surprised to see how horrified you were that people would actually think you were not breastfeeding. Oh, what a terrible mom that you would not breastfeed and didn’t fit into the breastfeeding club (by appearances). As a mom who chose to bottle feed after a terrible breast feeding experience, I was left wondering why you were so sad to be considered a part of a group that I actively chose to be in. But hey, we’re all good mommas? It just didn’t quite ring true. Like I said, I hope this comment doesn’t offend you further, I just thought I would maybe offer a viewpoint on what the other lady might be talking about? I don’t usually find your posts to be insincere, but that one kind of made me feel like kind of bad. Maybe it’s more of a reflection on me and my insecurities more than anything else. Kim, thank you SO much for sharing these thoughts and clarifying some of my confusion over the initial comment. I went back and re-read that specific post, and I CAN see how that could have come across as judgey or insensitive. So, first of all, I’m sorry. Really. Thanks for responding! I don’t think it’s something that you need to apologize for. I know that you don’t ever intend to hurt anyone’s feelings/etc. I think it’s probably hard to write a post with your feelings & emotions all out there, and then people are going to interpret it differently based on their experiences & feelings. It’s probably the nature of the blogging beast haha. I think if people were truly and terribly offended, they may stop reading, but that can’t be helped. I think it’s obvious that your heart is in the right place, so even when I take something differently than maybe how it was intended, I recognize that it’s probably just how I’m taking it. I really do enjoy your blog! January 8, 20ps;nb2p;&nbs1&6:50 pm by Sharon Hi I bought my house from council a few years ago and I want to start and do renovations to my house. Has anybody ever knocked down the wall in the passage to the sitting room? Way to respond to those negative comments with grace! I’m sure I would have said something more along the lines of “if you don’t like it… Don’t read it!” Ha! You go girl! I love your honesty, E!! Times have changed so much in 30 years, that feel like I must have been the worst mom in the world!! But then, I look at my kids and say, “Hey, I guess I wasn’t so bad, after all.” All you moms out there just need to be real, and embrace every second with your children! Parents are in such competition with one another these days, Whose business is it if you breast feed or bottle feed, if you work or not, if you teach your two year old piano… Just do what is natural and normal for you, and stop worrying so much what other people say or do! I can say all this cause I have raised my kids, and love watching my kids parent their children!! Good luck to you all!! Hi Mom! You did a pretty darn great job raising your kids if I do say so myself! 😉 Thanks for sharing some wisdom from someone who has been there and come out (stronger) on the other side!!! Love you! Fun story, I’ve been reading your blog since you were pregnant with your first (because I was pregnant with my first too) and I remember when you put Lee up for Show Us Your Singles. We just spent the past two years in State College and Lee is now one of my good friends. We love Lee and I give him lots of grief for not emailing my sister (I put her info on the comments when you talked about Lee). She is married to a great guy now, but I always tease Lee and tell him we could be in laws! Oh, and he had lots of people working on finding a great girl for him! I think what I appreciate most about this blog post is the fact that you didn’t shy away from the comments that “stung.” You laid them out here for your entire readership and then tried to address the intentions of your heart. That’s honorable if nothing else. 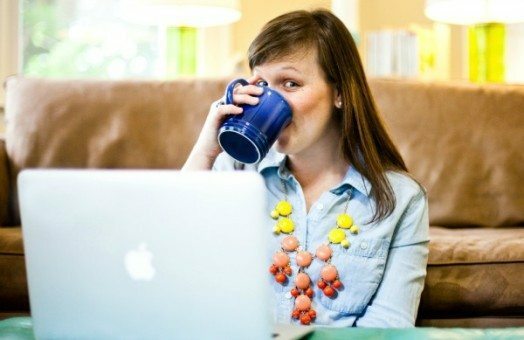 I feel like you are fairly self-deprecating–mostly in a humorous manner–and from one self-deprecating Mom to another, I find most of those posts amusing. But like the lady who commented earlier, I can see how some posts are filled a desire to be on a specific team or accepted by a specific group. I think that’s natural because, as parents, I doubt anyone feels like s/he is doing it right 100% of the time (or even 50% of the time). But there is certainly a cost with wanting to identify closely with one group. Sometimes that cost is alienating others or making them feel like they aren’t doing as well. Frankly, I feel like most of us need to abide by the rule of “You do you and I’ll do me,” but the reality is parenting is hard. And when it doesn’t go the way we imagined it would, we begin to feel insecure about our abilities at all. So when other people discuss the very topic with which we are struggling and seem to downplay the other side as less desirable? It stings–for everyone. That said, you seem pretty even-handed with most things–even the comment you posted recognized that fact. Your responses to these comments are also fairly even handed. It’s one of the things that makes me want to keep reading. I kinda feel like we’re learning together. Thanks for your sincere and respectful thoughts! Also, thanks for being such a loyal reader here – yours is one of the names I totally recognize whenever you comment, and I appreciate your feedback SO much! You made some really good points here – especially about the cost of wanting to identify closely with a specific group of people being that others feel alienated or insecure about their own choices. I’m generally a peacekeeper and not someone who likes conflict, so that was a good way to put it for me to see my words through someone else’s lens. I want to be free to express my personal experiences and opinions here (which is what I think you all want too), but I never want to do it without empathy and love. think I responded to a lot of this up above (after Kim’s comment), but I wanted to thank you for your insight and especially comment on the fact that we are “learning together.” YES. Motherhood, blogging, etc. I’m learning. Thank you for being on that journey with me and showing me grace when I step up! I think you’re right. It was the most beautiful wedding ever! What kind of sister doesn’t share details and photos of such an event?!? !